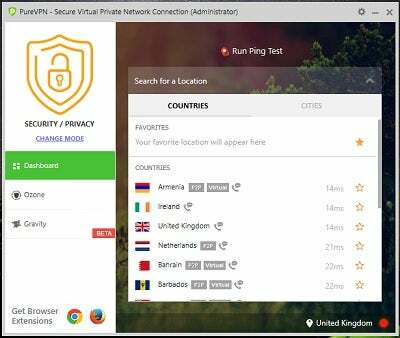 PureVPN is one of the best overall VPN services around, and should definitely be a contender if you’re looking for a secure VPN to protect your online privacy. It bills itself as the world’s fastest VPN service (though we wouldn’t entirely agree), and it offers a great mix of cyber-security features, internet privacy and good value. Whether you’re a power-user keen to delve into more complex settings, or a VPN first-timer, PureVPN has something for everyone, and it’s an excellent service to choose. If you’re after extra privacy and security online, or if you’re seeking services that are locked to another region, there are plenty of reasons to consider using a VPN. PureVPN is one of the best names in the business. It goes beyond normal VPN capabilities with its added security tools, dubbed Ozone and Gravity. Plus, it has generous features that make it a more compelling package than many rivals. Despite this rich feature set, PureVPN is still a slick, easy-to-use app that shouldn’t confuse first-time VPN users. There’s a consistent approach to layout and features across both Windows and Macs, plus iOS and Android phones and tablets. Though this isn’t the cheapest VPN if you opt to pay monthly, the costs work out a lot lower if you go for one-year or two-year license. A single PureVPN account lets you install the apps or clients on as many devices as you want, though only five can be connected at any one time. The slick app might be easy to use, but it also has a wide range of settings and features for power users who want to get under the hood. There’s loads you can do with PureVPN that a free VPN service wouldn’t let you do. For instance, you can turn your PC into a VPN hotspot and connect other devices to the internet (privately) through it. Or, you can configure the VPN so that only specific apps can use it, while others use your regular Internet connection. There’s also an Internet Kill Switch, which stops all your internet connections if the VPN connection fails, potentially giving away your identity and location. 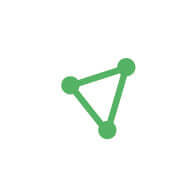 PureVPN’s “Ozone” and “Gravity” features further boost your security. Ozone gives you antivirus blocks, content-filtering tools to block offensive material or certain apps or websites, plus intrusion-detection features that warn you when somebody is trying to hack your PC. Gravity then adds an ad-blocker to stop ads appearing while your browsing, plus a safe search feature that hides specified search results. All seemed to work effectively during testing. PureVPN also throws up nice, clear notifications to let you know when you’re connected or disconnected. Reassuringly, PureVPN insists it has a zero-logging policy. This means that the company maintains no records of your online activities conducted while the VPN is enabled. “We practice Zero Log policy that means we do not record your activities or what you do online. Our commitment to preserve your online privacy is second to none.” – PureVPN official statement. All-in-all, we’re fans of PureVPN, but the suite isn’t entirely flawless. For all its claims about speed, PureVPN isn’t always that fast. It takes a while to connect, apparently while verifying the username and password. Though VPN connections within the same region proved very fast in our tests, transatlantic connection speeds were worse than average. 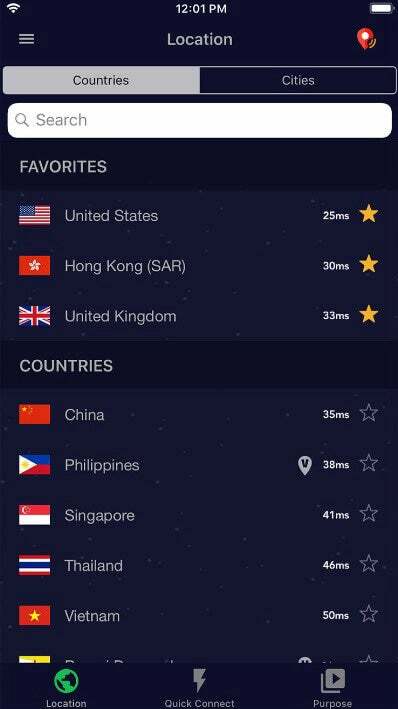 If you want the fastest VPN, then NordVPN proved to be a safer pair of hands in our tests. PureVPN is at its best if you stick to servers that are in your own region. If you want to connect to a regional version of Netflix over a VPN, then PureVPN appears ready-to-go. There’s a Netflix option in the Stream mode. However, when we tested this, we found that this failed to get past Netflix’s (increasingly savvy) VPN-detection. We took our findings to PureVPN directly – the company recommends using the browser extension for PureVPN in oder to access Netflix. You’ll need to run Netflix in a browser for this to work, rather than via an app. There is an ongoing battle between the streaming giant and the VPN providers, and we expect to see further work from PureVPN to counter Netflix’s measures. We’d still rank PureVPN among the Best VPNs for Netflix – see our guide for more VPN providers. At $10.95 if you opt for monthly billing, PureVPN isn’t the cheapest VPN around. But, you can save by paying $59 upfront for a year’s use, making it one of the best-value choices. Even better, you can pay $69 for two years. That’s excellent value for a VPN with so many capabilities. It’s simplicity itself to get up and running with PureVPN. Simply create a new amount with a username and email address, then choose your payment method. Your username and password are emailed to you, and the payment confirmation page has a big green button to download the PureVPN app for a desktop or laptop. Android and iOS users can simply install the app from the relevant app stores, then type in the email address and system-generated password. Once up and running, the VPN is extremely intuitive to use. People use VPNs for different reasons, which is why PureVPN works through a series of “modes”, each optimised for certain scenarios. “Internet Freedom” mode is designed to work in countries where certain websites or services are usually censored. You can link to a country beyond the government firewall and use these sites and services as normal. “Security/Privacy” mode gives you the best balance of anonymity, security, privacy and speed, while “File Sharing” is aimed at users sharing files across a peer to peer network (you can probably guess why some users want to protect their identities while sharing, say, the latest episodes of hit TV shows). The “Stream” mode is for accessing streaming services, such as Netflix or Hulu, that are normally locked to a specific region. With this engaged, you’re supposed to be able to use them even when you’re not physically in that country. A catch, however – even with this mode enabled, we found we weren’t able to get past Netflix’s ever-evolving VPN detection, and the service was blocked. Finally, the “Dedicated IP” mode, which costs extra, gives your VPN its own dedicated IP address, which you might need for some applications like online gaming. While you’re asked to pick a mode when you first launch the app, it’s easy to switch modes later. The advantage of this approach is that PureVPN can ask you what you want to do, then connect you to the best server to do it. If you want to go more in-depth, the site has some excellent guides and walkthroughs. PureVPN may not live up to its speed boasts, but this is still an outstanding choice for a VPN. It’s easy to use and has an impressive set of features. Go for a one-year or two-year deal, and it’s great value, too.